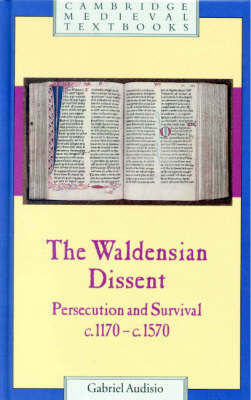 The Poor of Lyons, whom their detractors called 'Waldensians' - after the name of their founder Waldo (or Vaudes) - first emerged around 1170 and formed in common with other groups of the period a sect which embraced evangelism, prophecy and poverty. By challenging their prohibition by the lay clergy, and by following the Scripture to the last letter, they suffered excommunication and were condemned as heretics. Forced underground and dispersed widely, they nevertheless managed to maintain contact across Europe, through an established network of itinerant preachers, in Provence and Dauphine, Calabria and Piedmont, Austria and Bohemia, Pomerania, Brandenburg, Silesia and beyond. The Poor of Lyons constituted the only medieval heresy to have survived to the dawn of the so-called 'modern' period. Their tale of simple devotion mixed with a fierce tenacity serves to illuminate aspects of religious belief that have persisted to the present day. This book was first published in 1999.